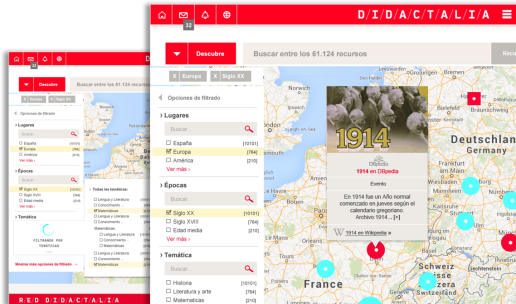 Didactalia.net is an educational site with more than 100,000 open educational resources and more than 350,000 registered users. 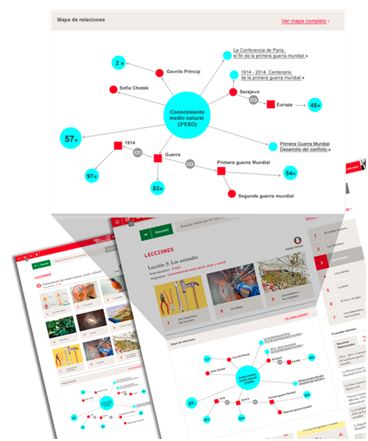 Developed by Gnoss.com, the site’s network includes educational sites such as mapainteractivos.net, cienciasnaturales.didactalia.net, mismuseos.net, BNEscolar.net, Espiraledublogs.org and Odite.ciberespiral.org. Users participate daily in more than 100,000 of their educational games sessions. 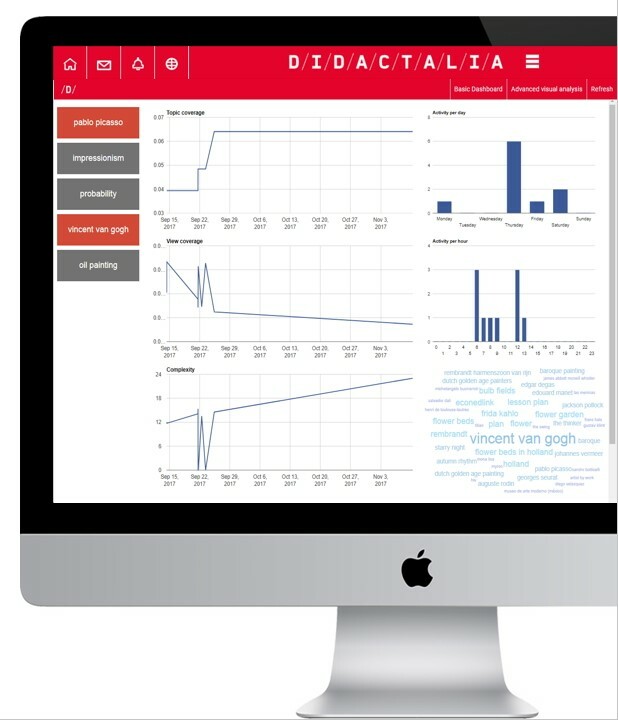 Didactalia invites its users to learn and share learning by voyaging across an immense Knowledge Graph that continually offers contextual information pertinent to the topic of interest. Navigating this highly semantically conscious voyage is intrinsically educational. Any subject matter can be discovered and researched in-depth in a way that is intuitive for the user. Offers interactive maps and science games designed to improve and accelerate learning, making it more interesting. Suggests social and individual game modes (challenges and tournaments). When learning means an engaging game within a competitive and social setting, players get hooked on the task of learning. 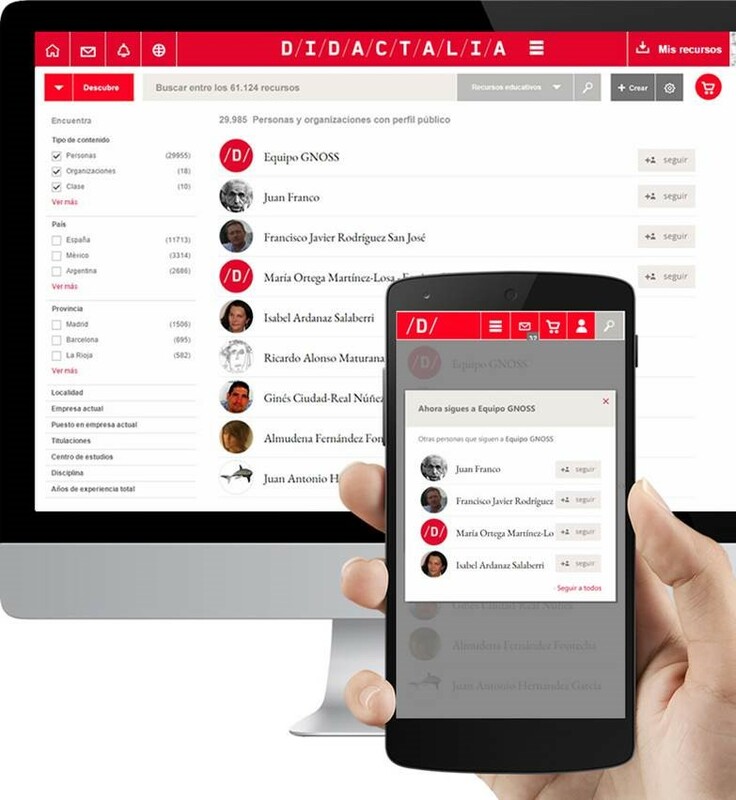 Didactalia combines the strengths of group learning among equals and social learning theory in formal learning processes. Teachers are able to contact and follow other teachers on the platform, as well as to create learning communities, communities of practice, and education research and innovation groups where they can share their experiences and content. 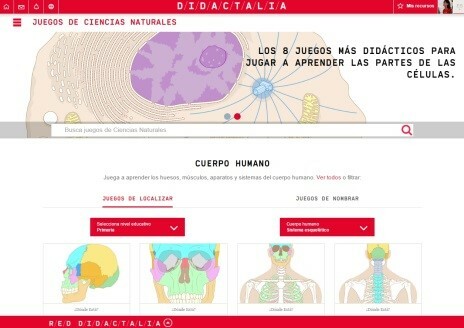 You can even bring your class to Didactalia: there are educational laboratories where Didactalia content is shared and students work together in a collaborative environment. Graph Learning Plans, lesson plans based on content from the collection and the educator’s own content in “just in time” contexts that allow teachers to put active teaching and learning methodologies into practice. 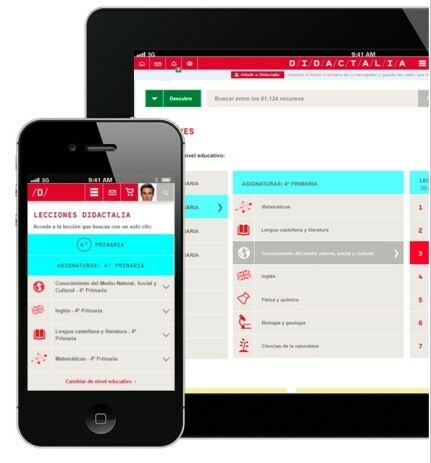 Didactalia includes a selection of lessons that are ready to use. These contents are organised in terms of curricula by knowledge area and subject; format; and theoretical, practical or experimental content. This organisation method helps teachers to prepare their classes and parents to help their children with homework. A personal learning space where users can save proof of their learning process, which supports their progress and the appropriation of specific knowledge sets. This site is also a structured resource kit where users can keep their favourite content from Didactalia’s available collection handy. Didactalia adapts to all types of mobile devices. The student can continue learning outside the classroom. Whenever they want and wherever they are, the platform unifies and analyses the footprint left by their educational endeavours.